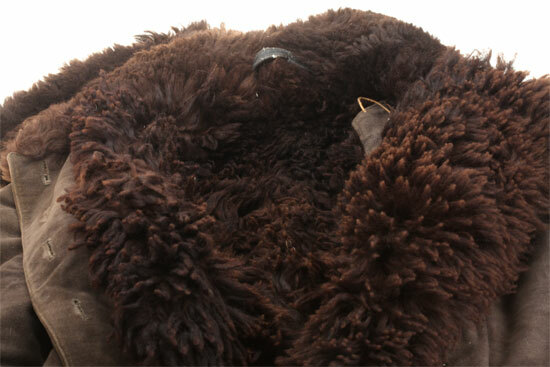 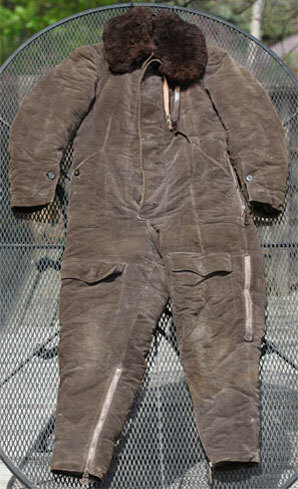 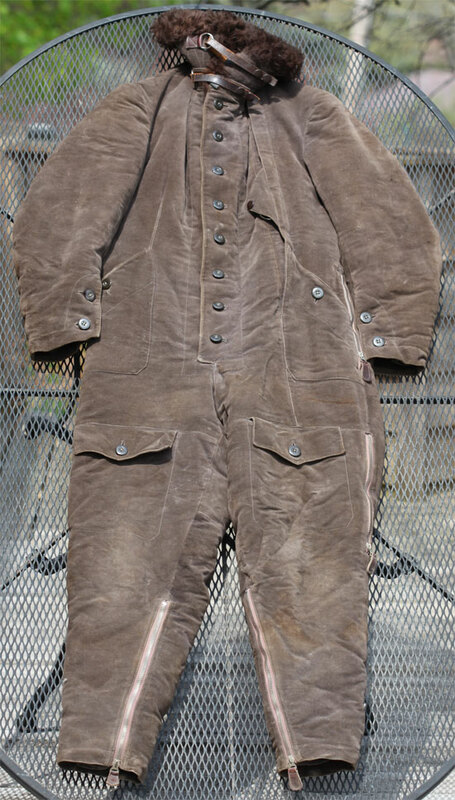 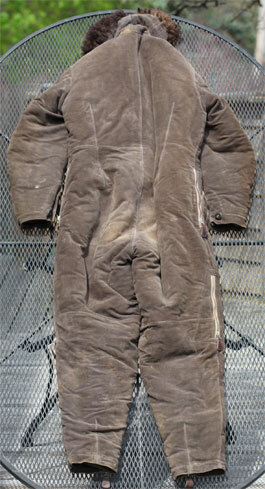 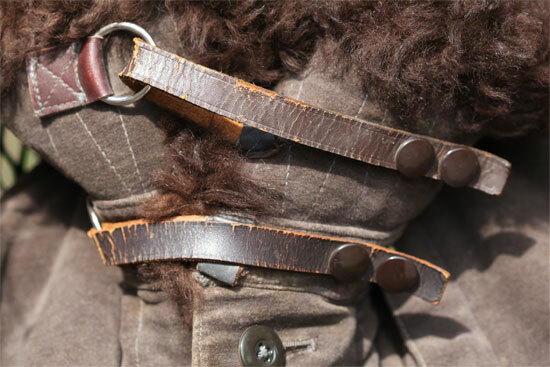 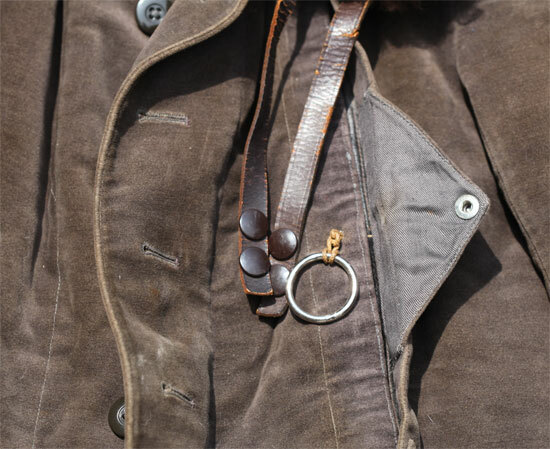 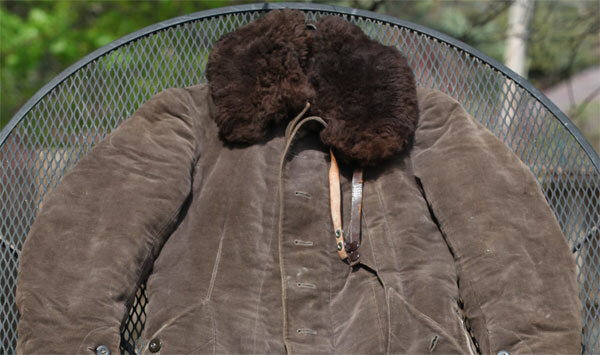 Luftwaffe Winter Fleece-lined Flight Suit: Heavy duty one-piece brown wool suit, completely lined with thick brown fleece, chromed leather, chemical anti moth treatment, weight approximately 16 pounds, designed to be comfortable down to -75 degrees below zero Fahrenheit, eight button double flap front closure, three pairs of zippers, two pairs of button down waist and leg pockets, a hidden pull ring half meter escape hatch, it must have cost a fortune to make these suits!, a scarce artifact, overall light wear. 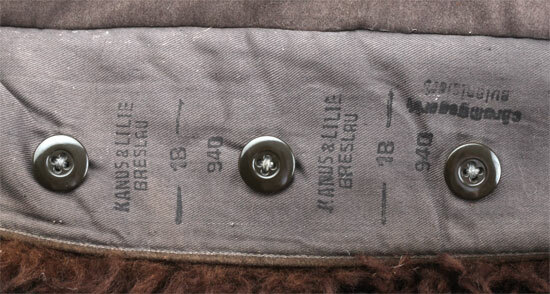 By the end of winter 1944/45, the Luftwaffe was all but annihilated. 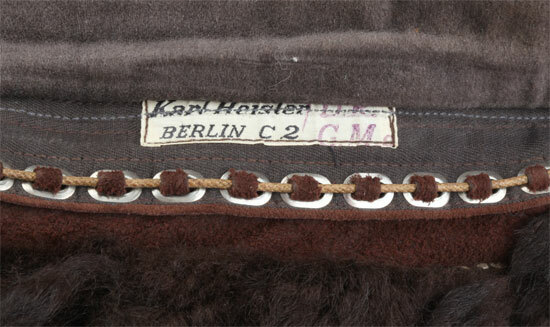 label: Karl Heisler / Berlin C2 / D.R.G.M.